Today I spotted a funny Washington Post article titled Heinz promotes its new ‘mayochup’ and sparks an international controversy. 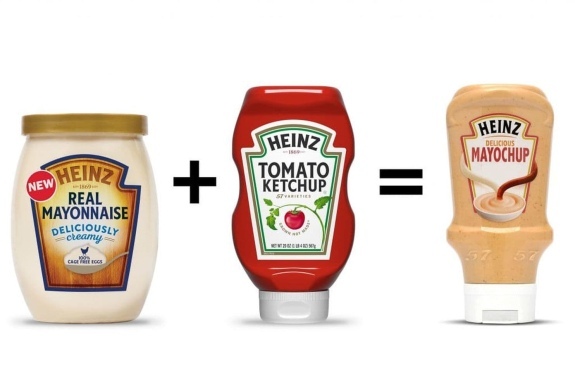 The gist is this: Heinz sells a condiment that’s a mix of ketchup and mayonnaise in other parts of the world and is gauging interest in bringing it to the US. There’s a few things about this so-called controversy that seem, well… ridiculous. First, the “international” part of this controversy is mostly within the United States. Heinz and its parent company Kraft Heinz are both based in the US, and at least in the article much of the outrage comes from US citizens (including Puerto Ricans.) Many claim to have invented this unique condiment, but let’s be honest — anyone who’s ever thought to put mayonnaise and ketchup on a hamburger bun basically had the same idea. Second, if you add relish to this mix you have Thousand Island dressing. I don’t know for certain the ratio would be ideal if you made it with Mayochup, but it goes to show that again, mixing mayo and ketchup is hardly a new idea, let alone bottling and selling it to Americans. The best part? Unlike Heinz, Mr. Show’s sketch repeatedly points out the problems with this idea. Not only is the amount of time it saves negligible, but mayonnaise expires quickly. In other words, the real controversy shouldn’t be who came up with the idea first, but whether the true motivation of Heinz is to sell a product with very little purpose but to go bad before you’ve finished using it, forcing you to purchase more. So argue all you like over this manufactured outrage, but please excuse the rest of us for rightfully laughing it off.